Making Fire Starters is a great gift for not only people who have a fireplace in their home, but for hikers and campers, even for putting into your emergency preparedness supplies. There are many kinds of fire starters. I am featuring a few of those ideas. these are great for storing in small spaces. They are a great gift for your favorite Hiker or Camping enthusiast. 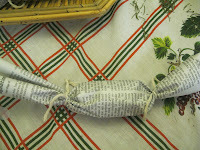 They are inexpensive and you can make a ton of them for a low cost! These should burn for several minutes. These are made from round cotton Make-up Pads. They are usually found near the make up and or near the cotton balls/nail polish remover section of the store. 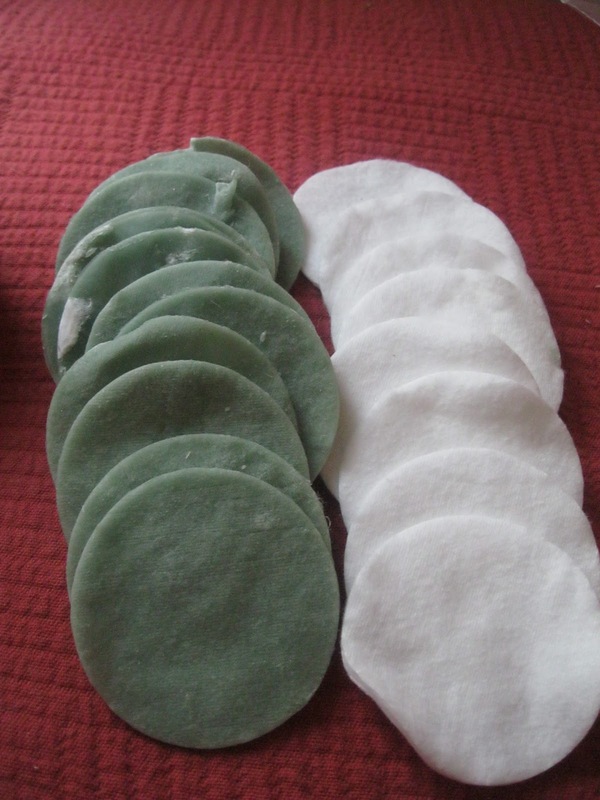 Here's what the pads look like before and after you dip them in wax. Make a small tear in the disc. Light the exposed cotton fibers at the tear. This fire starter is perfect for getting your children involved in the fun! Go for a walk and gather pine cones, acorns, etc. 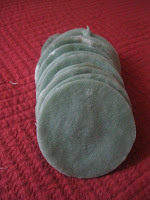 I also used dried Rosemary which smells amazing! You can add any kind of dried herbs, but I think Rosemary is a perfect one! Ask your herb gardening friend or neighbor for a few sprigs. Gardeners usually are a very giving group of people! 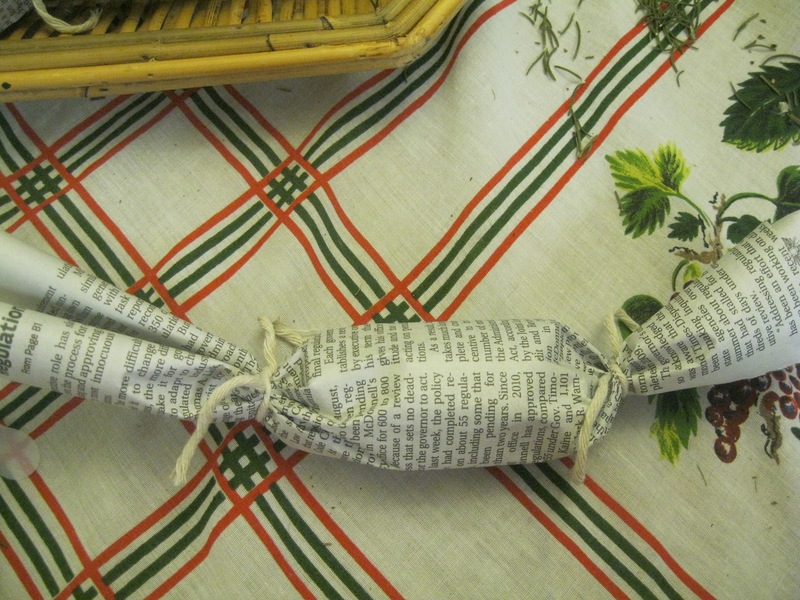 Tear recycled newspaper pages (wouldn't the comics pages be cute?) in half at the fold line. 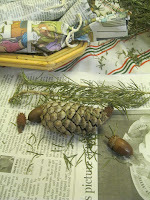 On one edge of the paper, lay pine cones, acorns, and dried herbs. These would make a cute gift for a grandparent or neighbor, tucked in a cute basket. To use: Light one of the edges of the fire starter. close your eyes and visualize red wax! 2) They are easy to stack and store. Just close the lid on the egg carton and store them away with your camping or emergency preparedness gear. 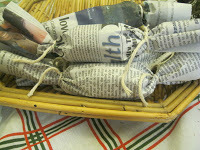 3) The children can help with a few of the steps (except the hot wax pouring part!). Line a cookie sheet with wax paper sprayed lightly with non stick spay. Place egg carton on the cookie sheet. 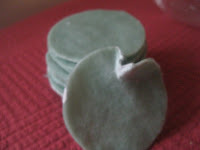 Pour melted wax into each pocket till near the top of the dryer lint. Let set until wax hardens. 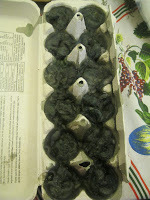 Jan's tip: the wax will soak through into the carton a little bit, so plan on needing a little more wax then you think to fill the whole egg carton. 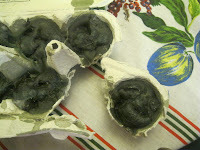 Tear off one of the lint/wax egg pockets and light the cardboard edge of the fire starter. I was going to make cute fire starters by putting pine cones into cup cake pans lined with cupcake liners) and filling with wax till set, but my area has long, narrow pine cones that aren't quite what you need to make these.